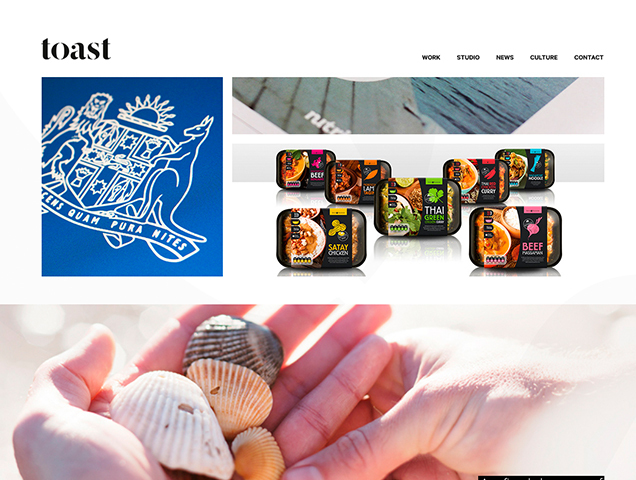 Need something designed by a top agency based in Sydney? Looking to be inspired by our Australian designers? As a Sydney-sider, here’s a look at some of the finest design agencies that I have come across in my time living here. Toast Creative is a branding agency that specialises in creating beautiful user experiences through strategic brand thinking. Toast means celebrating collaborative thinking that defines, crafts and evolves meaningful brands. Being open, aware and receptive to the world around us provides a springboard for innovation and progressive thinking. Toast Creative work across many sectors offering a broad scope of design skills within brand and visual identity, strategic planning, user experience, typography, packaging, publication design, environmental and way-finding solutions, copywriting and much more. At Toast respect is the glue. It’s as much about giving as it is getting. We believe that mutual respect works from the inside out, and encourages collaboration, ideas and productivity. It’s important to recognise one another, to listen to and value each other’s contributions. Creativity is inherent in our people. We have a rich understanding of brands and the skills to support it. We believe respect and collaboration with our clients and partners ensure the best possible outcome. 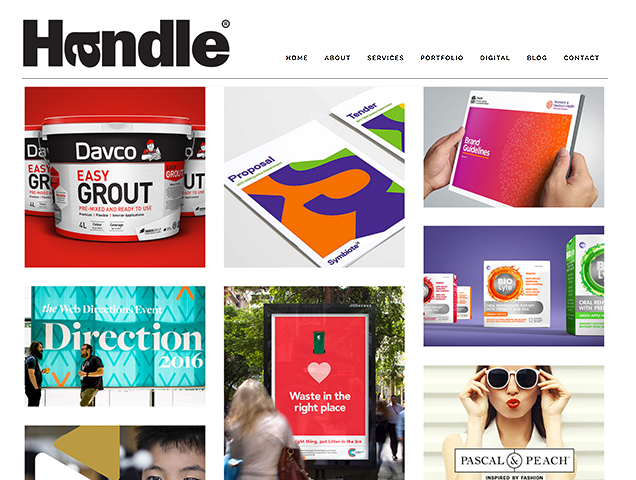 Handle Branding is a nimble and adaptive agency that focuses on brand strategy and digital design. They bridge the gap between people and brands generating real customer engagement and return on your brand investment. They work collaboratively with their clients, with a thoughtful and experimental approach, and create projects that are fresh and playful. I’ve worked closely with Handle Branding before and they seemed like a very fresh and up-and-coming design agency with good standards in the latest design trends. They are able to go creative and playful for otherwise boring designs such as for law firms or annual reports. They’ve worked closely with some of Australia’s highly reputable companies such as the NSW Government and Web Directions. What I find most outstanding is their knowledge of all types of media whether it be digital or print, and they can tie it all in to give you a consistent branding package with a polished look & feel. Percept is a brand, design and creative agency in Sydney with a focus on achieving successful results for their client’s business. They specialise in branding, packaging design, visual communication for print and digital design. 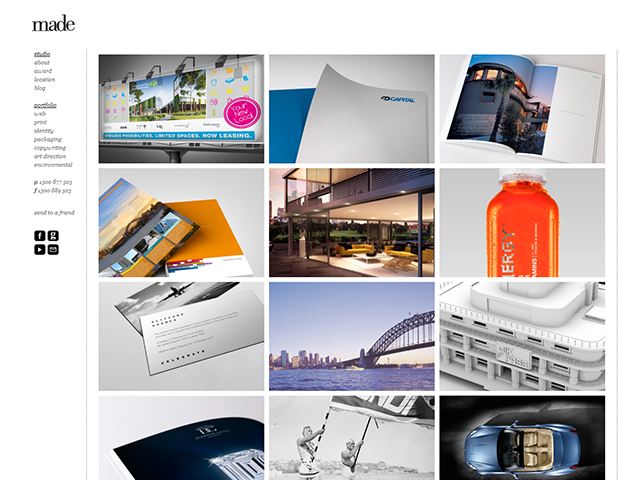 Percept looks to be a solid Sydney design studio specialising in all areas of graphic design for print and web. Their style is diverse and seems to always be a custom solution tailored to each client’s target audience. From what I know, they have a great depth of experience across many design disciplines and industry types, and the client feedback is always positive. Also, they’ve recently relaunched their website with quite a unique design, so I suggest you check it out! 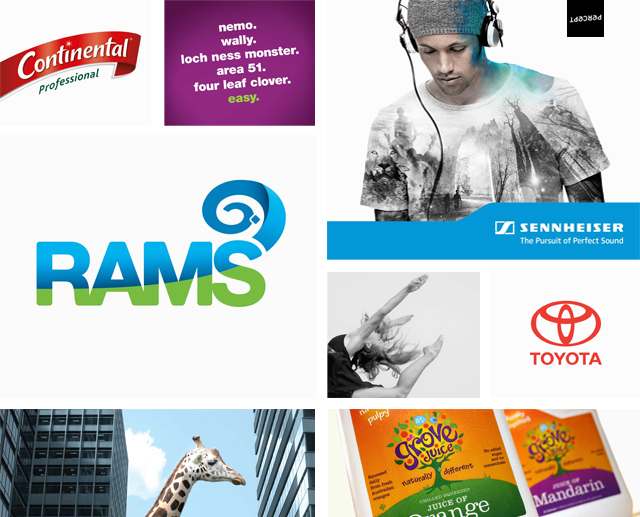 Hulsbosch creates strategically effective brand identities in an over crowded and increasingly competitive environment. They have worked with many happy clients including Woolworths, Qantas, Masters, Virgin Australia to name a few. 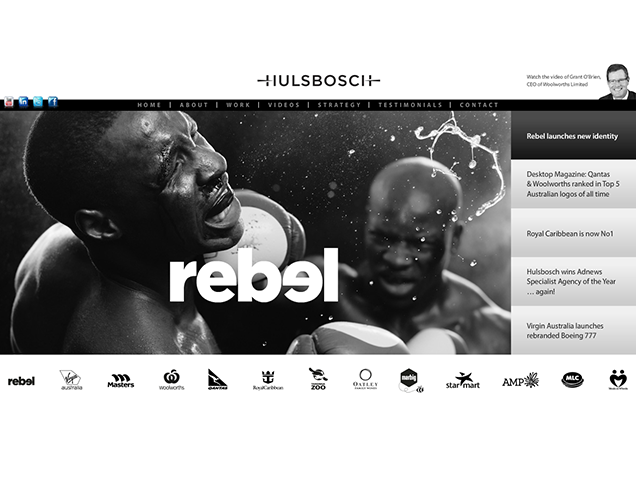 Hulsbosch is the first Australian company to combine strategy, brand/product design and advertising. This was achieved back in the 1980’s for Qantas and Sitmar Cruises, so they have a long history in the Australian market. And it shows today by huge Australian clients such as Woolworths trusting them to create a completely new brand revamp. An international design firm, no doubt highly renowned and has nice roots in Sydney as well. Their design style seems very corporate and practical, but can be highly creative if allowed to be. strategy+design = *inspiring ideas to life®. 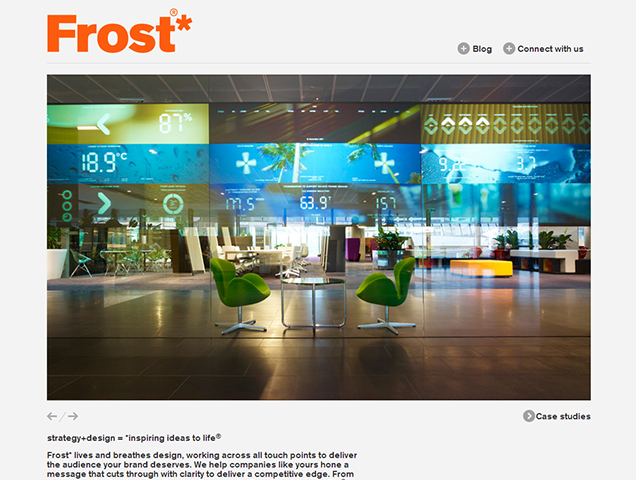 Frost* lives and breathes design, working across all touch points to deliver the audience your brand deserves. 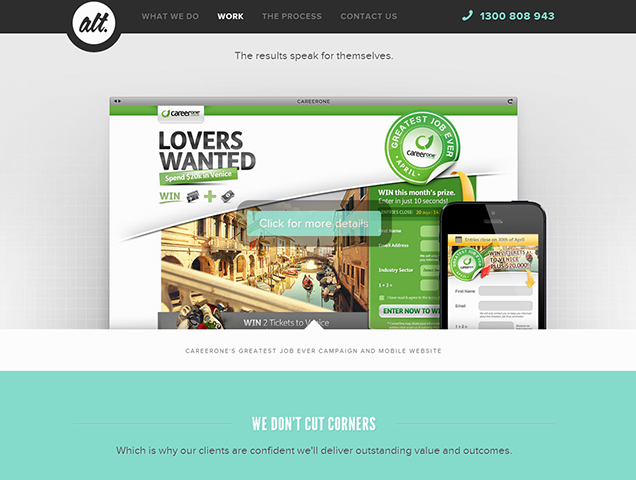 This is also a very well known design firm based in Sydney. They deal with all facets of design from interiors to publications to websites to architecture, you name it they probably do it. They have a unique sense of design style that is highly contemporary. WE ARE ALT. We’re experts at identifying and creating the right solutions to help our clients stand out from the crowd. I can really appreciate their approach to design and solutions. Minimal and concise, to the point. Their expertise as a strategy/creative company shows here. After all, simplicity speaks a ton of words. 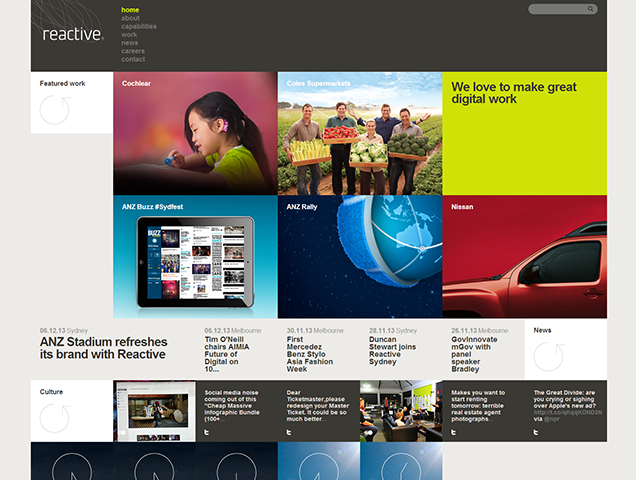 Reactive is an award-winning digital agency with offices in Melbourne, Sydney, London, Auckland and New York. Founded in 1997 and with over 150 amazing people in our team, we’re one of Australia’s largest and longest running independent digital agencies. This is a rather large international and independent design agency. The work they have done is nothing short of amazing. I mean, their work has a very distinct wow-factor to them, and the polish is A-class! This would mean that they have a very good sense of design and presentation, so be sure to check them out. 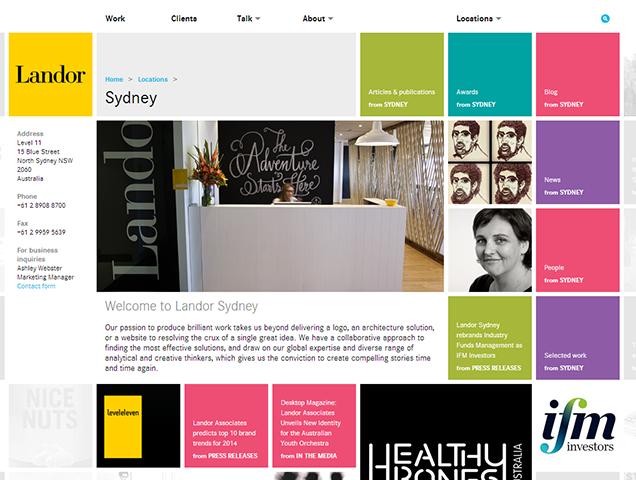 Made is a Sydney advertising & design agency. Independent in both thought and size, we believe by working together great results can be achieved. We are independent thinkers who engage in relationships with individuals and companies who are passionate about their brand, vision, products and services. 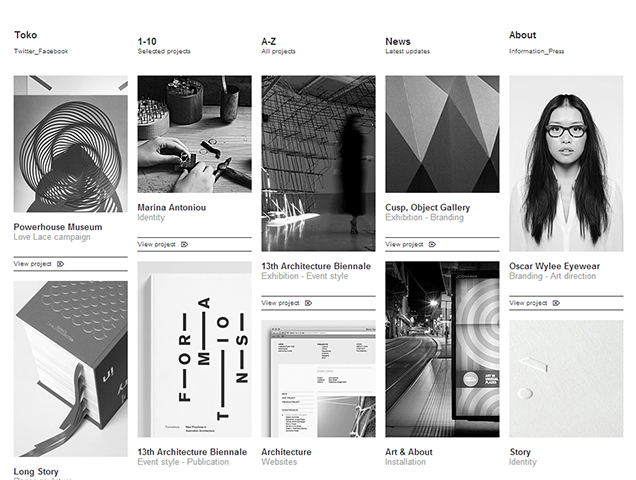 Made’s portfolio isn’t bad but lacks a little polish, if compared with other design agencies such as Reactive. But “make” no mistake, the designs here are also on a highly professional level. This would probably just mean that they are cheaper, so be sure to ask a quote if you are looking to save a little budget. Toko is a graphic design studio creating thoughtful and contemporary design solutions in the varied domain of commerce and culture. From concept and design to realisation, the studio offers a full creative service within branding, digital, spatial and print design. I totally love the overall look that this studio is offering. A highly European influenced design appeal from the 1950’s industrial revolution when Swiss and German design were dominant. If you have an architectural/interior design project or just simply need a Swiss/European style design, look no further than these guys. Have a project for a freelancer? I have listed the big fish in this article, and hopefully that gave you some good direction to go on. However if you require a sole professional freelancer in terms of Graphic Design and Web Development, please feel free to check out my works and contact me if you like them! I am available for hire any time, so just Contact Me about your project and more than likely, I will be honoured to help you. I am a freelancer designer and based in Sydney. Many thanks! Beautiful designs and sites! I wonder if you can share any thoughts about http://parramatta-printing.com.au/product-designer/ ? Thanks! Simple and innovative system and I appreciate freemium business card models like that. Keep up the good stuff. I believe we are a good design company as well, check out out portfolios here, https://mywishbrand.com.au/, and you will be surprised. This article was very helpful, thank you. Do you know of any other design studios that are doing more along the lines of international contemporary design like Toko? I’ve just started scouring the internet I am a graphic designer thinking of moving to Sydney from the U.S.
Great, glad you liked it. I believe I only know Hulsbolsch that is the closest because the founder also is of a euro descent and I guess it would impact the designs in such a manner. However they are more “mainstream” I guess. Thank you for the great article, finding a good web developers is not an easy proccess. As for me, I work with Folio1 https://folio1.com.au/. It’s Melbourne based web and mobile developers. Good proffesionals with good prices.